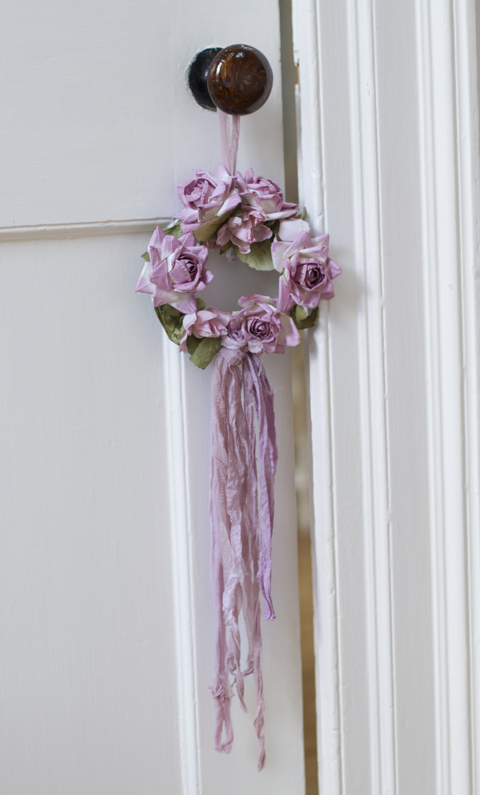 This is a beautiful dark rose and boho mini wreath that is to die for pretty! 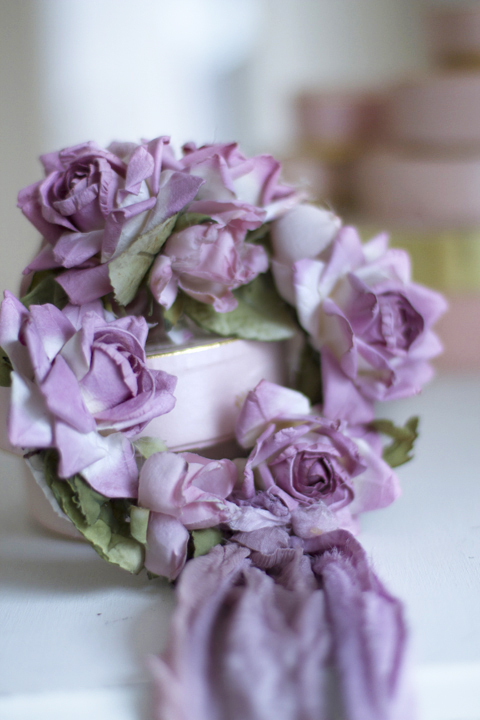 Petite cabbage paper roses fills the crown with greenery. 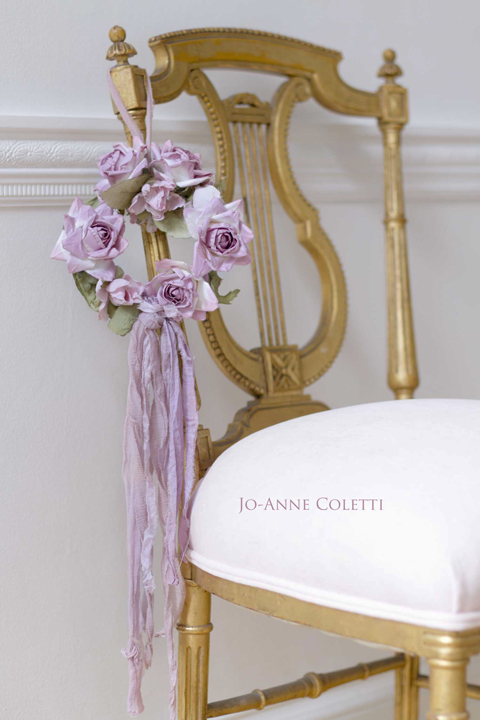 A long train of rose/mauve ribbon cascades down for a truly romantic one of a kind piece. The train has torn and tattered edges making it look shabby and vintage. This would look fabulous hanging from a chair, dresser, or door knob. Meassures-7' in diameter with a 14' train.